The Earthmate PN-60w comes with DeLorme Topo North America GPS maps and desktop software included, with topographic and street coverage of the U.S. and Canada. DeLorme, the innovation leader in mapping and GPS technologies, will demonstrate pre-release models of its eagerly-awaited Earthmate PN-60w with SPOT Satellite Communicator at the 2010 Teva Mountain Games, scheduled for June 3-6 in Vail, CO. Actual product release is expected in July of this year. The Earthmate PN-60w is the world's first handheld GPS that enables Type and Send text messaging via satellite. 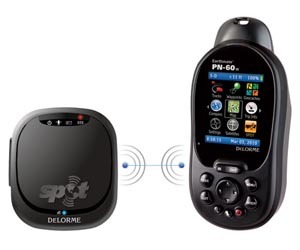 A special interface on the PN-60w connects it wirelessly with the SPOT Satellite Communicator, which was designed exclusively for DeLorme. Messages are created on the PN-60w's internal keyboard, then relayed via satellite for delivery using established SPOT technology. Users can type and send text messages to individual email addresses, cell phones, buddy lists, and social networking sites like Twitter, Facebook, Fire Eagle, SpotAdventures.com, or Geocaching.com. In case of emergency, SOS messages can be sent with the user's GPS coordinates embedded. 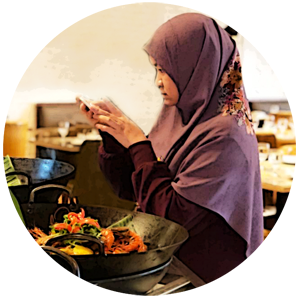 In addition, family and friends can track a user's progress via Google's free online maps. It also displays high-resolution aerial imagery, official USGS and Natural Resources Canada topo maps, and NOAA nautical charts, all available from DeLorme via low-cost subscription. Navionics lake maps and marine charts (sold separately) can also be displayed.